So it's Monday and our first day of Spring break. Yay! Nothing planned really, and other than a Dr's appointment for the little one tomorrow, the week is pretty clear. Today we're hard boiling eggs to color tonight for Easter. DS is super excited because I found a Star Wars egg coloring kit. 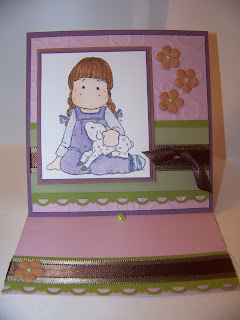 Here is my card for our blog group's 24th challenge. It was a good one too! The challenge is to make an easel card, plus use glitter, ribbons, layers and at least 4 colors. Image is Magnolia colored in with Copic markers and highlighted with Stickles. 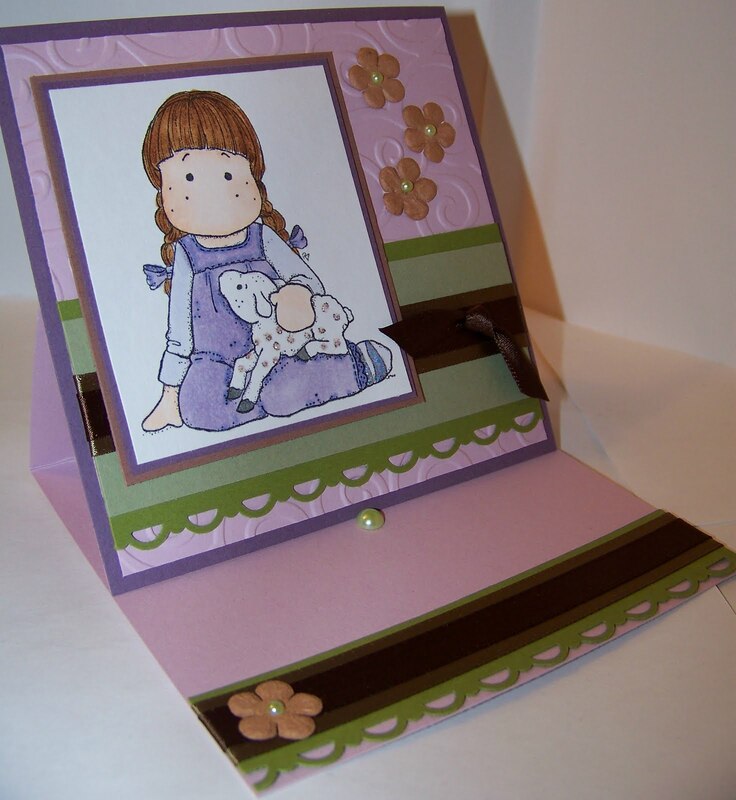 Other supplies are SU border punch, Cuttlebug swirls embossing folder, Kaisercraft pearls, prima flowers and misc ribbon from WalMart. Paper is SU Pale Plum, Perfect Plum, Old Olive, Close to Cocoa and Mellow Moss. 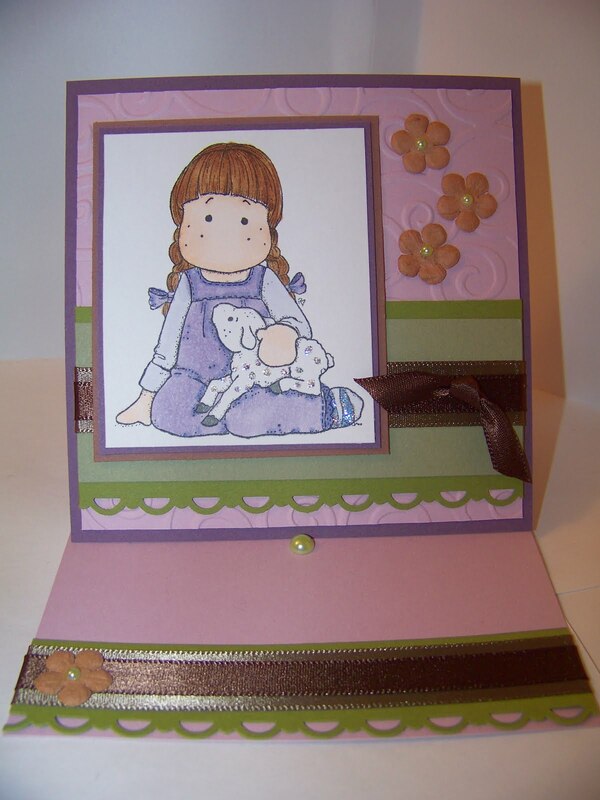 Such a pretty image - beautiful card! This is sooo sweet Colleen! I love your coloring & the layers are beautiful. Hugs! Colleen, this is so adorable! Great coloring and love all the layers! Beautiful card! I like the colour combo :). What an amazing job, this is georgous. Great easle card!! You did such a great job on the challenge! I just love your easel card! Good work!